Wetlands get ignored by the general public ("Why would I want to tramp through a swamp?"). But for naturalists, hikers, and photographers, they are some of the most interesting places on earth. 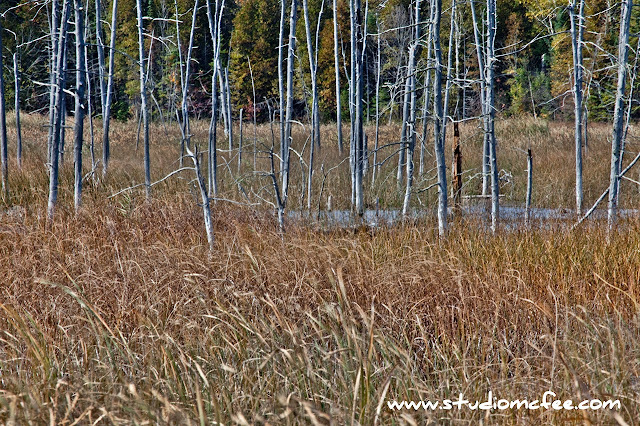 Wetlands are teeming with life (both flora and fauna). The landscapes can enthrall but the fine details of plants can also amaze. 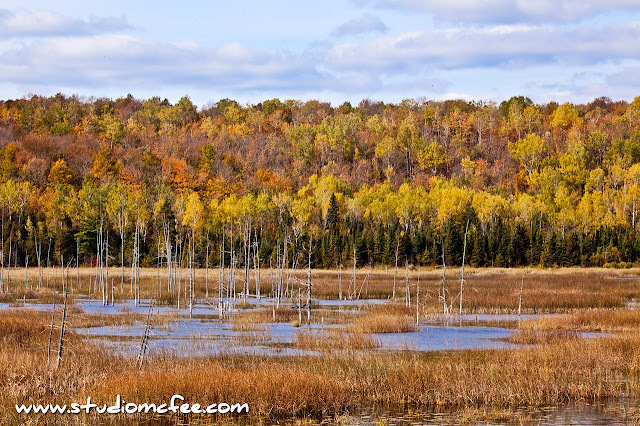 Wetlands in autumn are perhaps more appealing for the general public. The colours are more vibrant, more 'in your face' and far less subtle than at other times of the year. The absence of mosquitoes, and other flying insects, makes a walk through the wetlands a little less aggravating than in May or June. Autumn is an excellent time for your first excursion. Through all four seasons, Ontario wetlands have their own unique beauty. 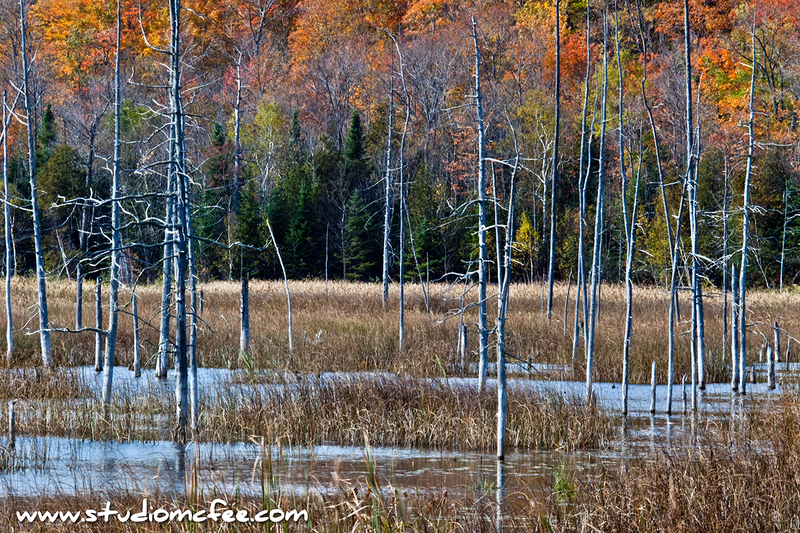 Autumn is spectacular but, in a way, I prefer the subdued tones of winter.